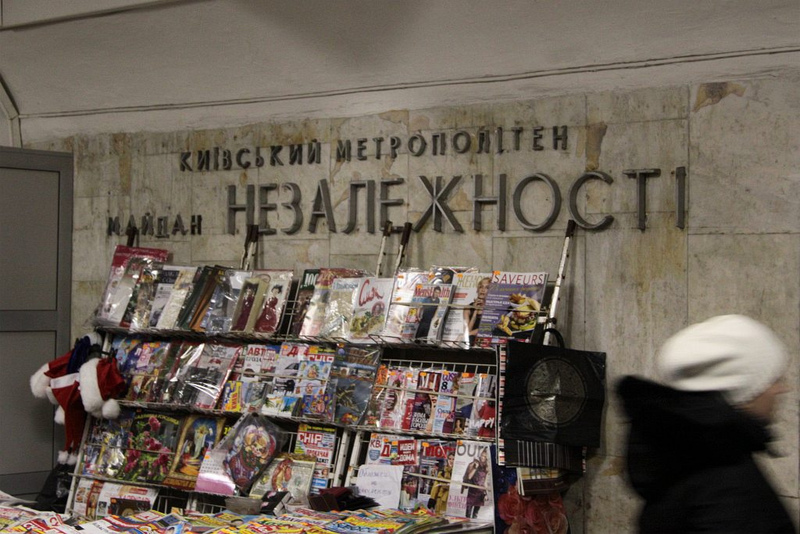 Here’s a traditional newsstand on the Kiev Metro. 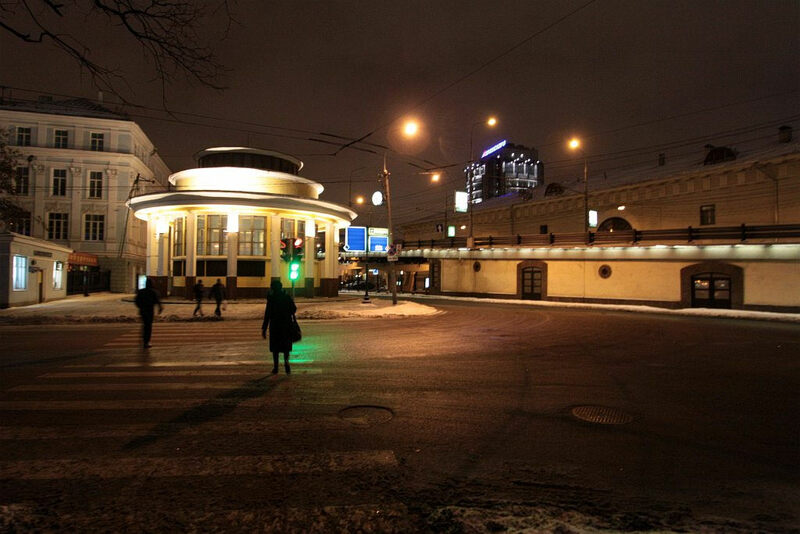 And the modern equivalent in Moscow – a bank of newspaper vending machines. 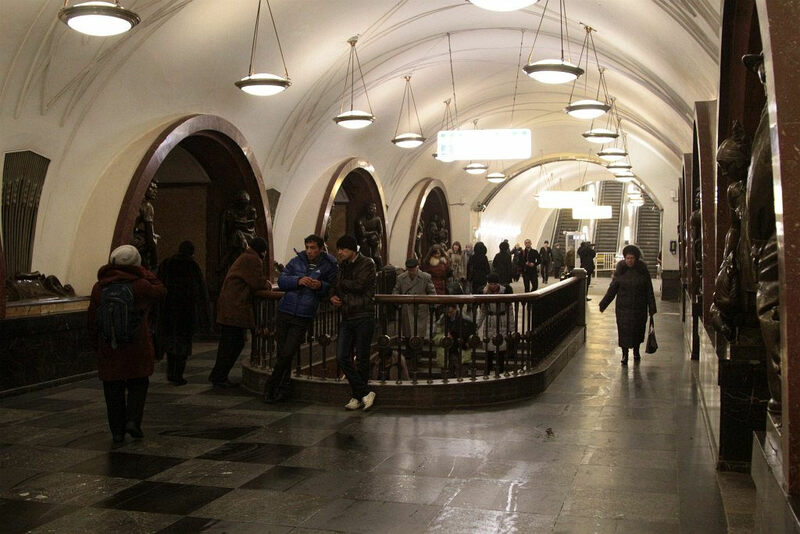 Given how the internet has decimated traditional print media, how long until even the vending machines disappear? 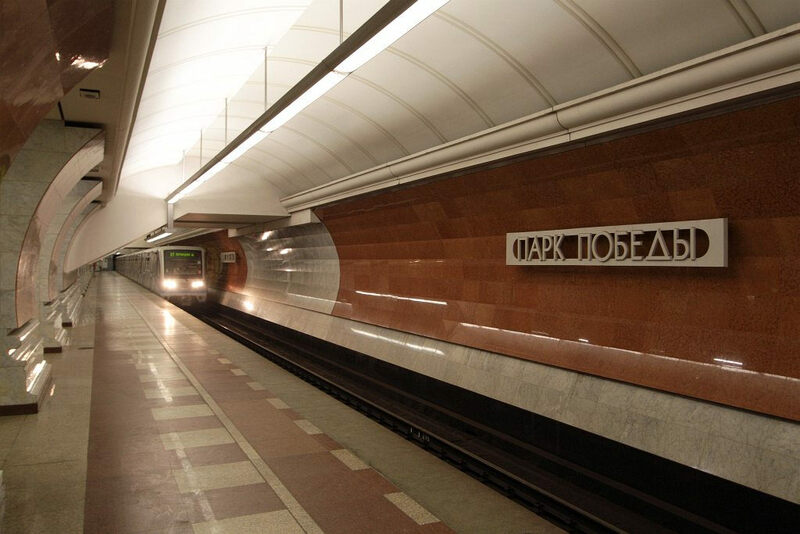 Dynamic next station displays are beginning to become common onboard trains, as they clearly indicate to passengers where they are and where they are headed. 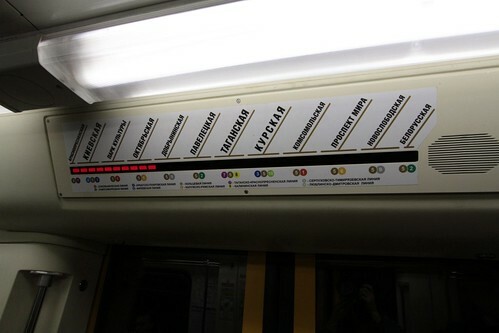 I found this example onboard a Koltsevaya Line (line 5) train that encircles central Moscow. 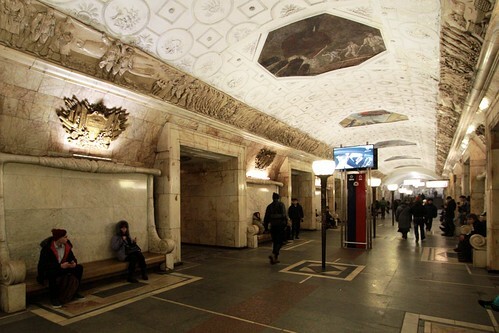 In cities of the former Soviet Union such as Moscow, Saint Petersburg and Kiev, you will find an metro networks filled with ornately decorated underground stations, none of which look the same. 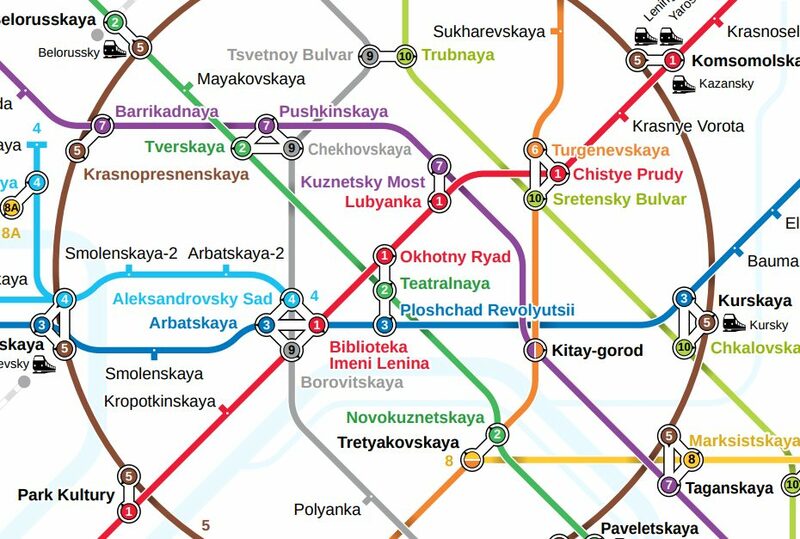 But if you look a little deeper at the strcture of each, you will find that each of these stations actually have a common set of building blocks that they all follow. 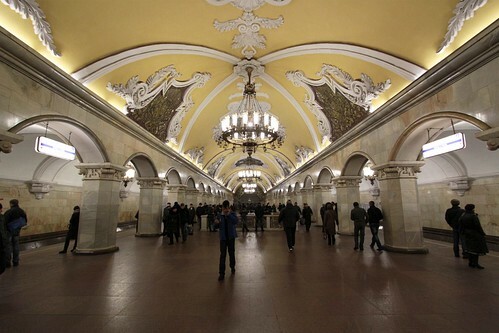 Every railway needs somewhere to store and repair their trains – and the Moscow Metro is no different. 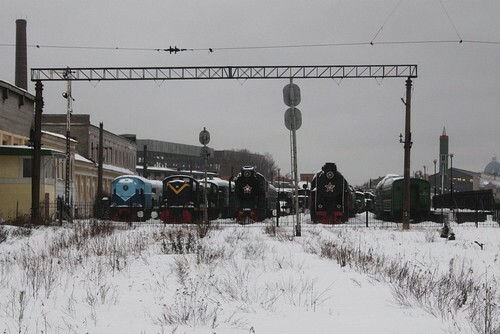 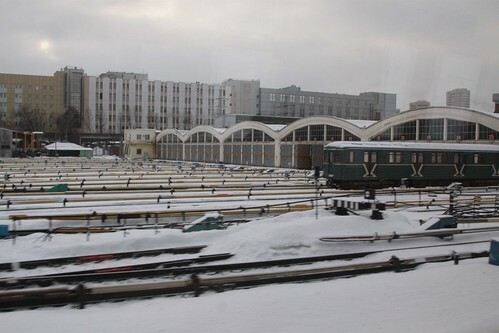 On my visit I travelled past one of these facilities – the электродепо (electric train depot) at Фили (Fili) on the Filyovskaya Line.